Features 3 Reverb Modes (Room, Spring, Shimmer), a full metal shell, true bypass, and is very small and exquisite. Room: Different sized true acoustics reverb, from room to hall. Spring: Simulates a classic spring reverberation, vintage 60’s Surfing sound. 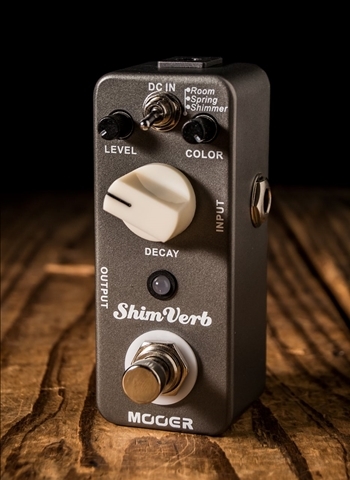 Shimmer: Add rich overtone into the reverb sound, spacy, smooth and shining, very popular in Post Rock music.